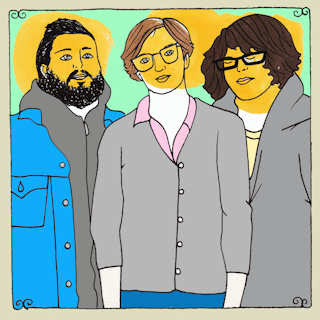 choir croak out them goodies: The Sundelles on Daytrotter, woo! The Sundelles on Daytrotter, woo! Speaking of Daytrotter sessions, a session was recently posted that features San Diego natives/faux Brooklyn band the Sundelles, a member of whom is Trevor McLoughlin, brother of the Soft Pack's Matty McLoughlin. FUN! Download the session fo' freeeeee. You can support them with moneys at www.sundelles.com.